Once you’re ready to create a backyard oasis, it’s important to work with a professional. 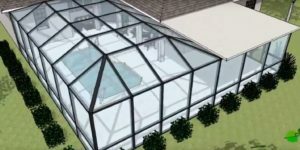 Consider how much space you want to dedicate to the screen enclosure and start exploring the designs. From there, you can enjoy all of the perks of Florida without any of the inconveniences.